The downtrodden cryptocurrency market continues to suffer from a relentless flood of selling. As Monday afternoon came to a close across the Asia-Pacific, Ethereum (ETH) and Tron (TRX) led a sharp marketwide sell-off that suddenly left many wondering if the cryptocurrency market would soon make its way below the psychologically significant US$300 billion valuation; something not seen since April 13th. For Bitcoin (BTC), which last week closed in the red for the third consecutive time – something not seen since last September – Monday was an all too familiar sight. In percentage terms, however, BTC (-1.3%) was far from the market’s worst performer. In terms of the entire market, basically all of the price damage occurred within a brutal two-hour timeframe. Indeed, from roughly 14:00 (AEST) to 16:00, almost $20 billion was wiped off the collective valuation of all digital cryptocurrencies. 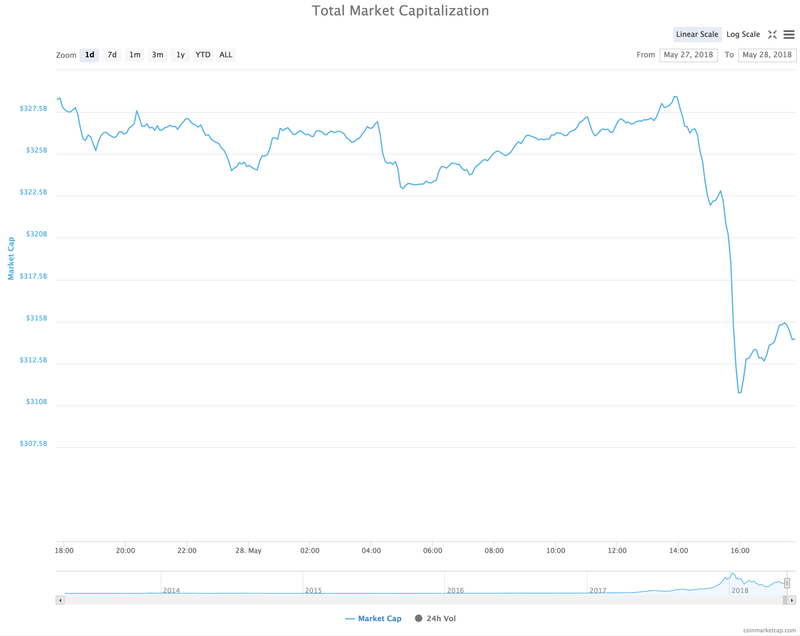 As can be seen on the below chart retrieved from CoinMarketCap, the total market capitalization slumped from ~$328.4 billion to ~$310.7 billion; a loss of 5.39 percent. Why Do Cryptocurrency Prices Keep Falling? 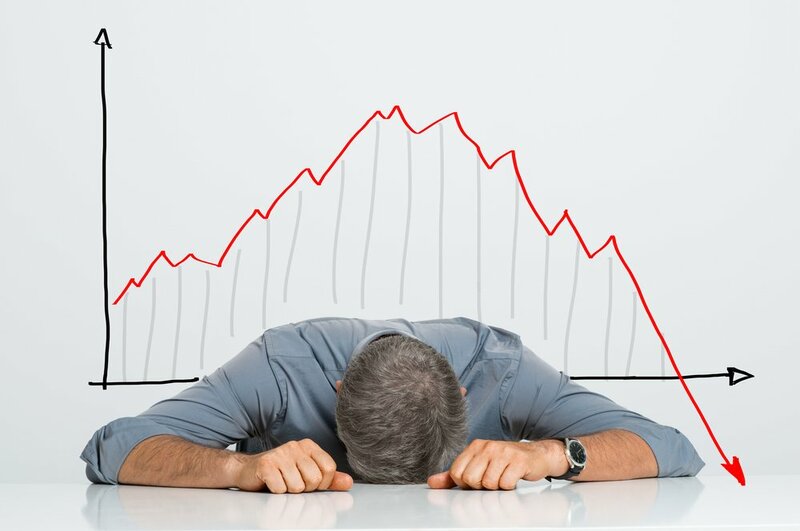 From the information currently available, Monday’s sharp marketwide sell-off appears technical in nature, given the apparent lack of any undesirable news having been published today. Seemingly, the bears are well and truly in control of the current market, with all major cryptocurrencies struggling to even hold their respective valuations. Monday’s price action is likely the result of continued selling momentum; the origin of which being the underwhelming (at least relative to public expectation) annual edition of mid-May’s Consensus 2018. Crushing the hopes of those still waiting for the (usual) post-Consensus bull run was regulatory news out of the U.S. (i.e., NASAA’s ‘Operation Cryptosweep’), as well the heightening of speculation that an already anti-crypto Chinese government would enforce stronger crackdowns on their domestic industry. A go-to tool for measuring the level of public awareness and enthusiasm behind the most popular cryptocurrency is to make use of Google Trends. As can be seen below, Bitcoin’s Google search activity has plummeted to roughly its twelve-month-low. Whilst the same cannot be said for its price, the search activity currently being generated by Bitcoin sure is telling.